Wow! What’s the story behind this? 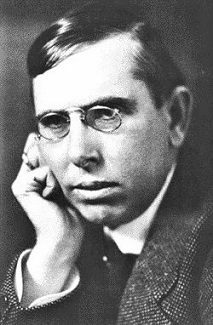 In September 1919, Theodore Dreiser, who was living in a studio apartment in Greenwich Village, was visited unexpectedly by Helen (Patges) Richardson, a distant relative from Oregon. Helen was about 25 years younger than the middle aged Dreiser. Both had been married before. Dreiser, who was technically not divorced, engaged in multiple affairs simultaneously. Dreiser and Helen commenced a torrid affair which would develop into a lifelong relationship, the most enduring of Dreiser’s many intimate relationships. Dreiser married Helen a long while later, shortly before he died. She was his mistress for many years, but he caused her much pain because of emotional neglect and unfaithfulness. Right after meeting in 1919, Dreiser and Helen moved to Los Angeles. Helen was an aspiring actress. and she did get minor roles in silent films. When the telegram you saw was sent, the couple were both living in LA. Dreiser had apparently gone to San Francisco for some reason. What occasioned the anguished telegram from Helen I don’t know, but she suffered much pain from Dreiser’s coldness. She was obviously responding to a telegram from him (or perhaps a letter?). Helen published a book about her and Dreiser, “My Life with Dreiser” (1951). There are several biographies of Dreiser in which his relationship with Helen is discussed at length.